It was even honors when the Saints and the Red Devils clashed, with the 2-2 scoreline underlining an active first half. Initial goals from Stuart Armstrong and Cedric Soares looked set to put Southampton out of their home misery. However, that was not to be, as Manchester United quickly responded with goals from Romelu Lukaku and Ander Herrera, the former being the first one that the Belgian has netted in over 12 games. There was a 13-minute long gap between the Soares’ goal and United’s opener, and during that period, things looked utterly dismal for the Mancunian side. In fact, the reaction that their legendary manager Sir Alex Ferguson had to Southampton’s second goal perhaps aptly captures the mood. Following the brilliant free-kick that took the Saints 2-0 up, cameras were quick to point towards the notable figures around the ground. Mark Hughes appeared visibly surprised that the goal went through, while Jose Mourinho held a look that could burn through steel. 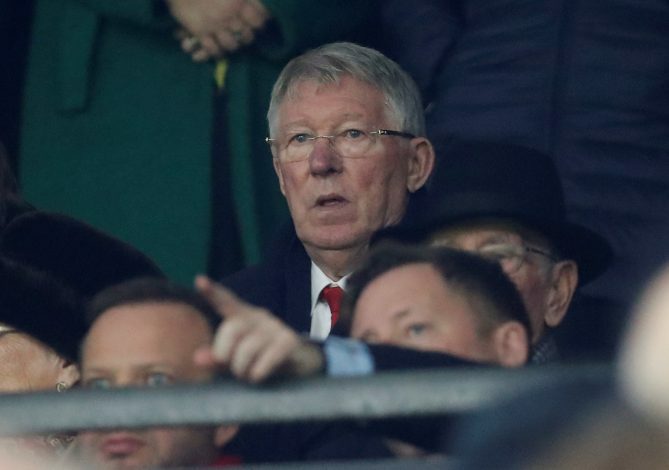 However, the most fitting reaction arrived from the stands, where cameras caught Sir Alex Ferguson adjusting his spectacles and letting out a smile at United’s plight. This seems quite apt for the tragic comedy that is Manchester United at the moment. For those opening moments, it was the great old club that appeared to be the team on the brink of relegation, and not Southampton. Even though several fans would have been inspired by their quick comeback, nothing changes the fact that the Red Devils have taken just one point from the first game of a crowded December fixture-list, with Wednesday plying them against Arsenal. Jose Mourinho has some big decisions to make ahead of these games, with Ed Woodward’s reactions to the opening goals not too friendly either. Placed in the 7th spot, United appear quite sub-par at the moment, not even a glimmer of the club that won glory in the past decades.